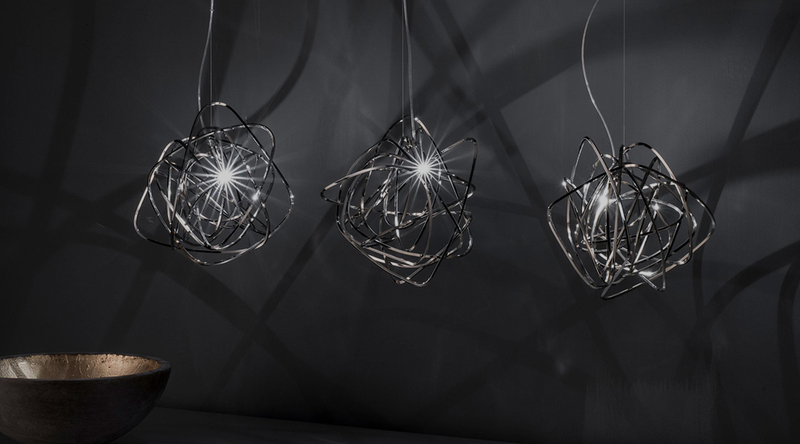 Two new additions to Terzani’s collection of luxury lighting designs blend high-end beauty with a dose of playfulness. For more than 40 years, Terzani has blurred the lines between art, luxury and design. The Italian brand is known for luxury, and isn’t afraid to inject a bit of playfulness not always found in high-end design. The key to bridging both, says CEO Nicolas Terzani, is elegance. Meet two brand-new designs that do just that. Each Doodle Pendant is unique, as every design is handcrafted by artisans into a randomized path. The LED light source can be clipped anywhere onto the frame, giving it a unique flexibility. Designer Simone Micheli says the Doodle’s tangled shape is inspired by the free movements of graphic signs and represents the complexity of our contemporary age. “The design’s continuously changing geometries are the transpositions of our metropolitan lives,” Simone said. And indeed, the design itself can change on a whim. The light source—a small, LED bulb on a metal clip—can be adjusted and moved anywhere on the fixture, altering the direction and intensity of the light any way you please. “That was a playful idea I came up with when we were spending hours figuring out where the best location for it would be. In the end, we leave that decision to our customers!” says CEO Nicolas Terzani. Each Shar Pei Pendant is handcrafted by artisans in Italy. It may be named the Shar Pei Pendant, but this design’s cute factor is replaced by an elegant projection of light that refracts through undulating 24% lead crystal. 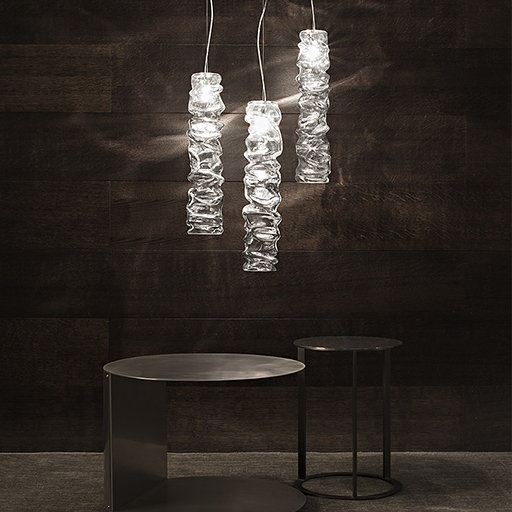 That direction led to beloved Terzani designs like the Mizu and Angel Falls, along with, the new Shar Pei Pendant designed by Luca Martorano and Mattia Albicini. 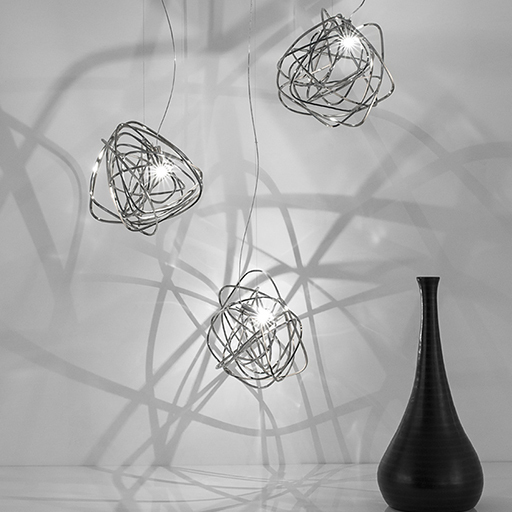 A closer look at the light and shadow play created by Terzani's Doodle Pendants. The careful design of the Shar Pei Pendant—from the high refractive index to the soft waves—break the light and spread it onto surrounding surfaces, similar to light and shadow effects of water reflected on the sea bottom. “We tried to make something original and spectacular at the same time,” Martorano and Albicini said.